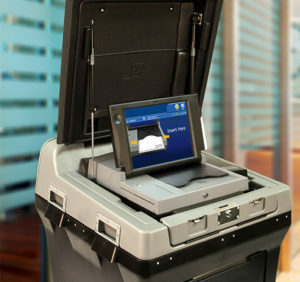 Effective September 22, 2017, Culpeper County uses the DS200 Precinct Scanner and Tabulator produced by Election Systems & Software (ES&S). All voting units go through an annual maintenance program and a Logistics & Accuracy testing prior to each and every election. Ballots are certified and approved by the State Board of Elections prior to opening the Absentee period and opening the polls on Election Day. Culpeper County is also part of the State’s electronic pollbook program, reducing wait times for voters at polling places.